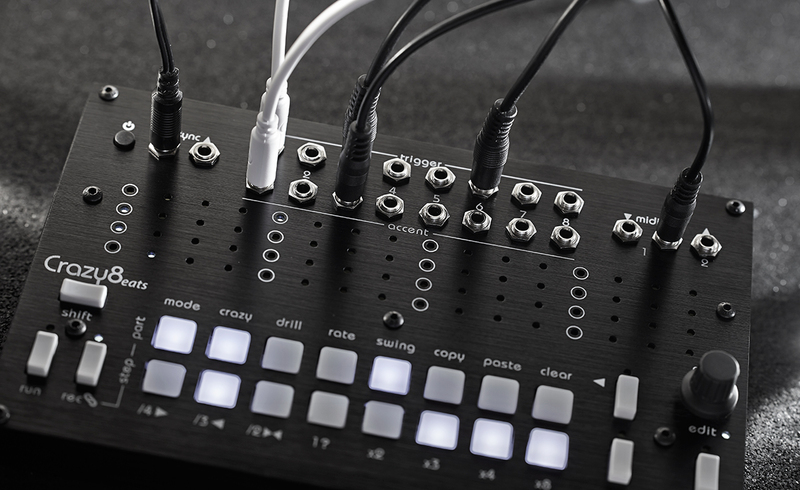 This boutique hardware melds live performance and programming, MIDI and analog triggers, into one desktop pattern maker. And it’s now shipping. One of the nice things about Roland’s TR-8S this week is that it doesn’t try too hard to be a sequencer. That is, it’s a drum machine with the ability to do some triggering, but it doesn’t get wrapped up in so much functionality that it starts to get complicated. All of this leaves room for desktop boxes that really focus on creating patterns. And ideally, they’d be suited not just to people who want to do a lot of involved programming, but might limber up their fingers and play live, too. The price is at EUR303, but integrates both MIDI I/O and plenty of dedicated trigger outs. So it’ll talk to your MIDI gear. It’ll talk to your analog gear. And if you must, you can even bolt it in a Eurorack case (though it seems way easier to access if it’s flat on a surface). What I suspect may make this one tantalizing to people, though – in addition to that clever MIDI and analog integration, and a big punch-board style display showing off the different tracks – you get per-track swing and a “crazy” feature with live remixing and randomization. So… it’s crazy. Oh, yeah, it’s crazy.